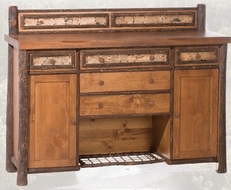 We offer a great selection of Log and Rustic Dining Room Furniture. 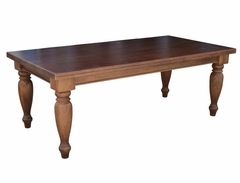 LodgeCraft has been assembling the highest quality dining room furniture and has strong relationships with some of the Nation's leading furniture manufacturers since 1988. 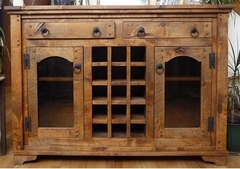 Our goal is to provide you with the best rustic dining room furniture selection online. 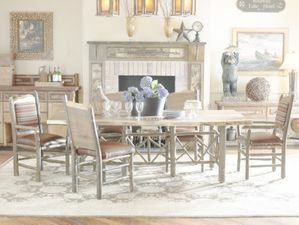 Choose from a variety of styles including log, mission and rustic dining room furniture, we offer a great selection of wood types and finish options. 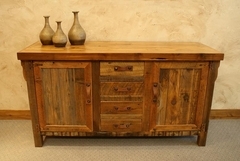 Cherry and Oak Mission and Pine Log dining room furniture. Everything from dining chairs to dining tables in tons of styles and sizes. 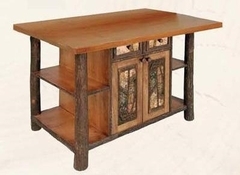 We also offer beautiful Alder or Pine dining room furniture directly from our LodgeCraft workshop.